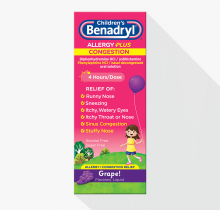 Gives children effective relief from allergies plus nasal congestion and sinus pressure. 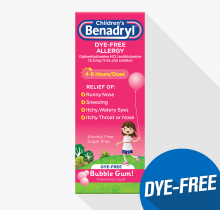 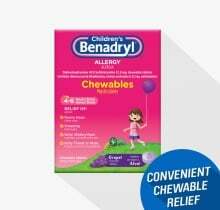 Grape-flavored, chewable medicine with an antihistamine that works when your children need it most. 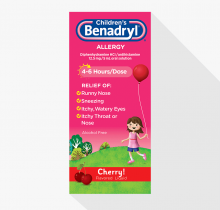 Cherry-flavored liquid with an antihistamine that works when your children need it most. 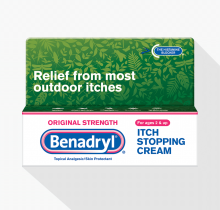 Antihistamine itch relief cream that also protects skin. 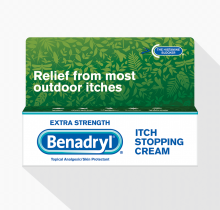 Extra strength antihistamine itch relief cream that also protects your skin. 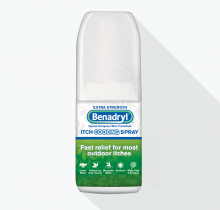 Extra strength itch relief antihistamine spray that also protects your skin. 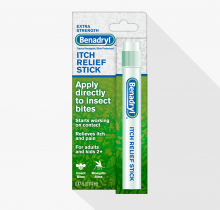 An easy-to-apply stick that protects your skin with extra strength itch relief. 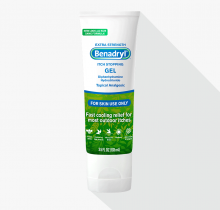 Apply this soothing, extra strength itch relief gel to your rash or insect bite and stop the itching. 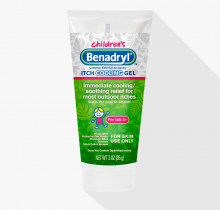 Cooling, soothing itch relief that gives kids the medicine they need for their rash or insect bite.